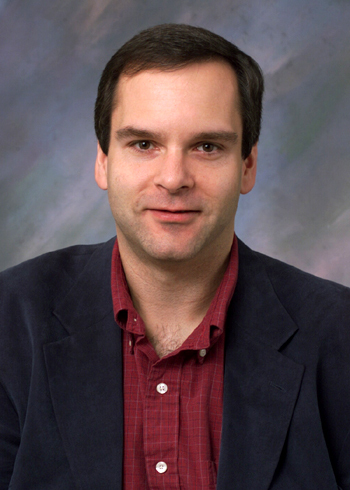 David Ebert is an Associate Professor in the School of Electrical and Computer Engineering at Purdue University. He received his Ph.D. from the Computer and Information Science Department at The Ohio State University in 1991. His research interests are scientific, medical, and information visualization, computer graphics, animation, and procedural techniques. Dr. Ebert performs research in volume rendering, illustrative visualization, realistic rendering, procedural texturing, modeling, and animation, and modeling natural phenomena. 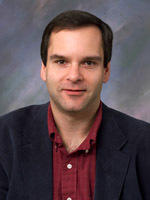 Ebert has been very active in the graphics community, teaching courses, presenting papers, serving on and co-chairing many conference program committees, serving on the ACM SIGGRAPH Executive Committee and serving as Editor in Chief for IEEE Transactions on Visualization and Computer Graphics. Ebert is also editor and co-author of the seminal text on procedural techniques in computer graphics, Texturing and Modeling: A Procedural Approach, whose third edition was published in December 2003.